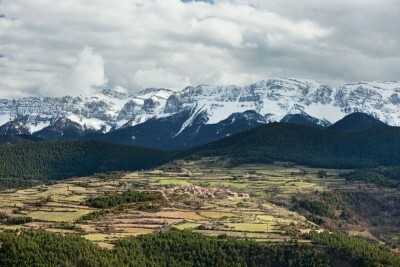 Prullans is a hamlet of around 200 inhabitants which stands on the border between the provinces of Lleida and Girona. Although it belongs to the comarca of La Baixa Cerdanya, it is intrinsically linked to Lleida province. This is a settlement with an important cultural legacy located amidst stunning scenery and which offers a number of services for motorcycle tourists. Leave Prullans following the N-260 westward. 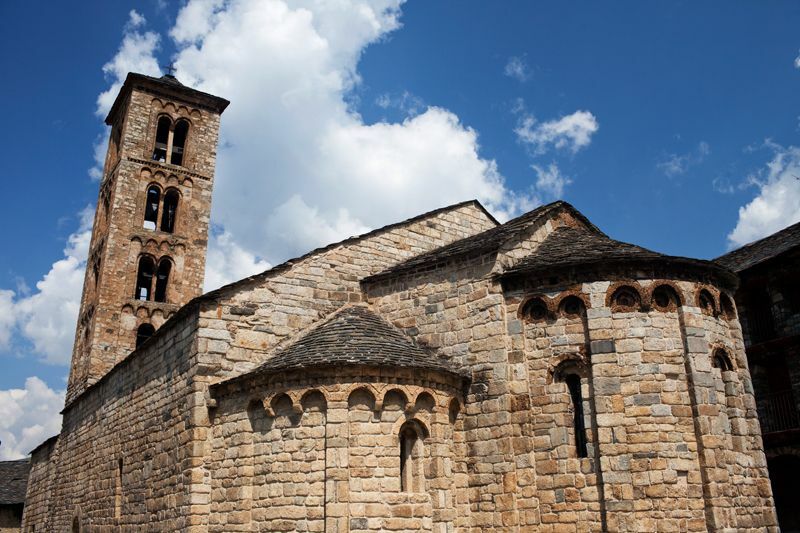 You will spend much of the day following this road through fabulous countryside, but first – after only 30 km – you are advised to take a short trip to a village in the neighbouring comarca of La Seu d'Urgell. 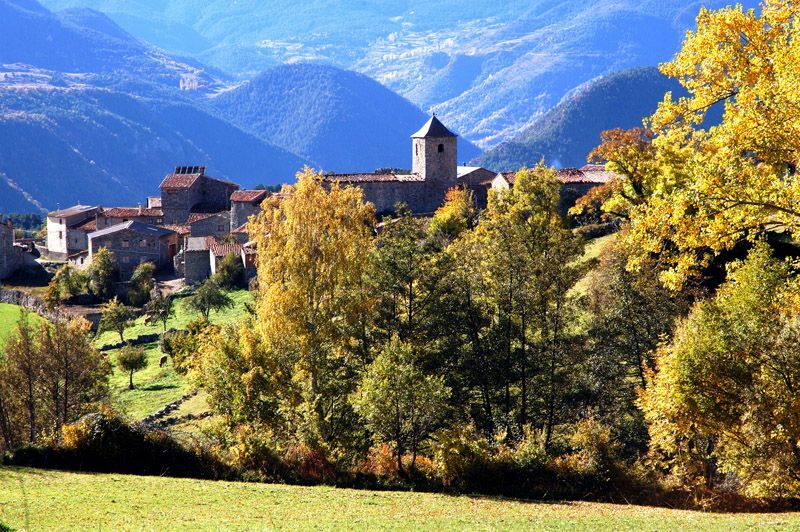 Martinet is a small village that stands on the River Segre. 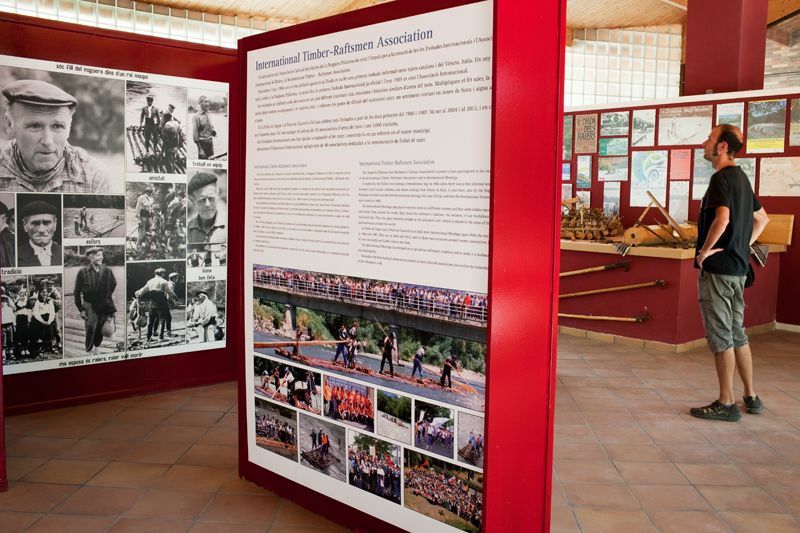 Its tourist attractions include the Bunker Park, which relates to the historic memory of the Spanish Civil War and World War II, and the Casa del Riu (River House), which provides information about the local fauna and fluvial ecosystems. After this visit, continue along the N-260, where you can enjoy breath-taking views of the rocky walls of the Cadí Sierra. La Seu d'Urgell is a town of around 12,000 inhabitants which is located in the heart of the Catalan Pyrenees. It is the capital of L'Alt Urgell, the seat of the Bishopric of Urgell, and – back in the Middle Ages – had been the most important settlement in the territory controlled by the Counts of Urgell. 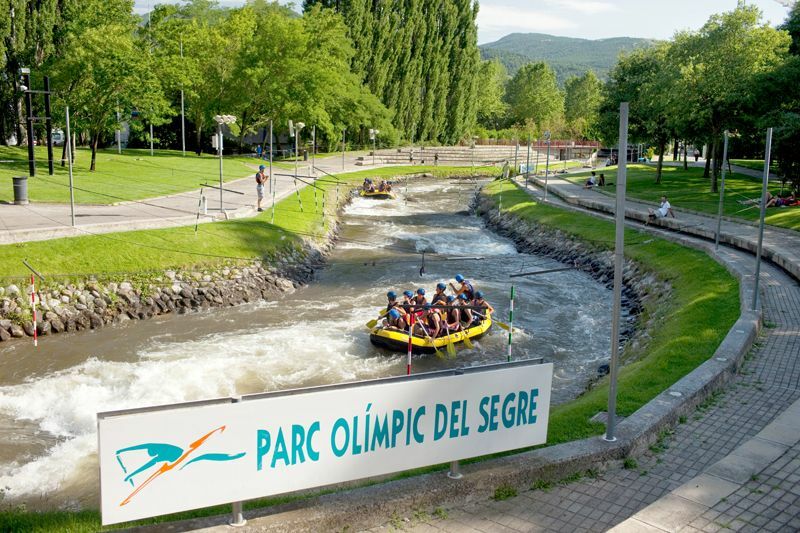 Its most outstanding tourist attractions are its cathedral, which is the only Romanesque-style cathedral in Catalonia, and the El Segre Olympic Park, which was used for water sports in the Barcelona Olympic Games. 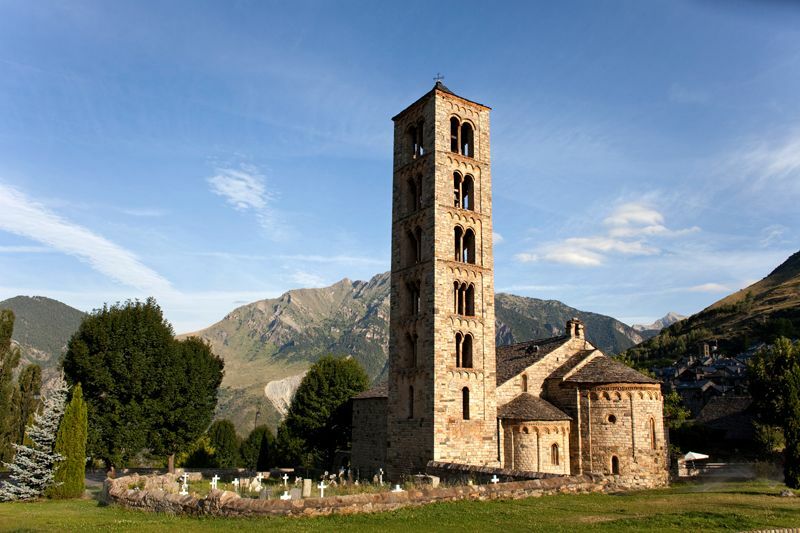 The town stands at the confluence of the rivers Segre and Valira and L'Alt Urgell is also the gateway to the tiny mountain state of Andorra. In fact, the proximity of La Seu d’Urgell to Andorra and its economic activity largely explains the town’s current importance within a larger area that includes L'Alt Pirineu (High Pyrenees) and Aran. 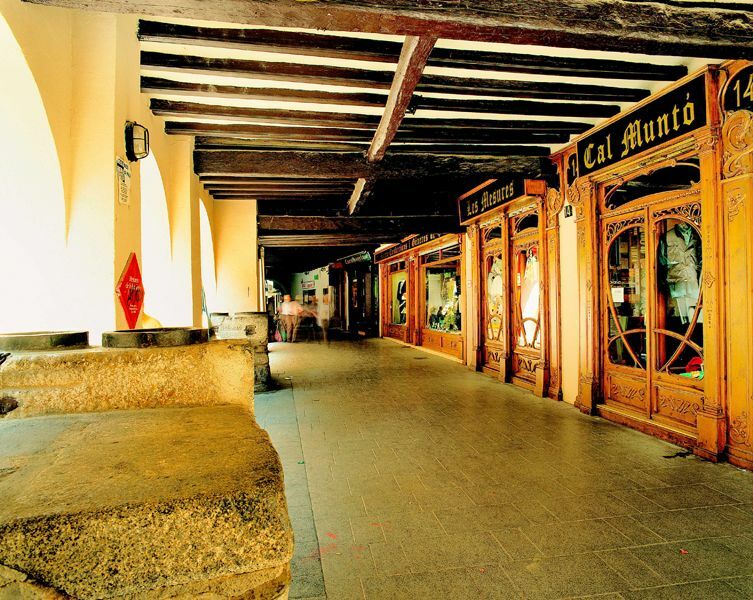 La Seu d’Urgell has a number of establishments that are already well-known to motorcycle tourists. 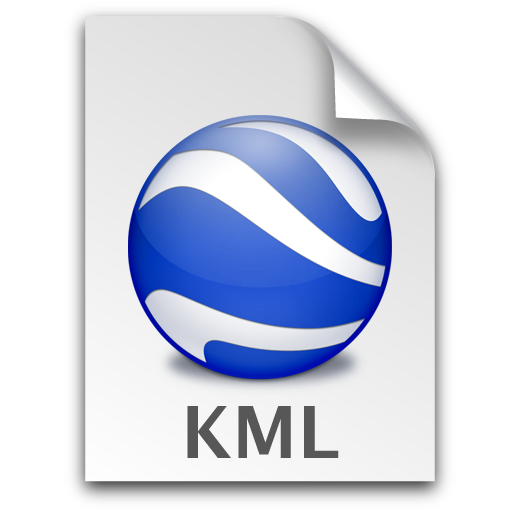 You will find all the best options available on our website. From La Seu d’Urgell, follow the N-260 along one of the most cherished stretches of motorcycle tourism route in Catalonia, Spain and Europe. This part of the Eix Pirinenc (Pyrenean axis) will take you on to Sort (El Pallars Sobirà) after a 50 km ride full of curves, peace and quiet, and outstanding scenery. Along the way, there are a number of vantage points and places where you can stop off and enjoy the views even more. The highest point on the route is at the Coll del Cantó pass, which stands at an altitude of 1,720 metres and also provides access to the Alt Pirineu (High Pyrenees) Natural Park. Sort, with its 2,300 inhabitants, is the capital of the comarca. Its main tourist attractions are its nature and the River Noguera Pallaresa. 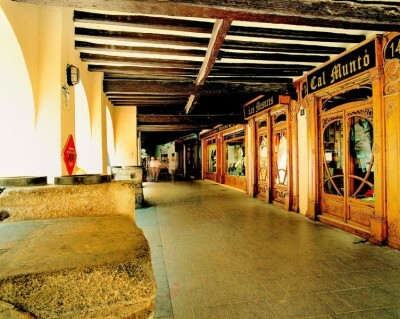 It has also recently become famous for its lottery centre (La Bruixa d'Or), with many people stopping off here to try their luck (which how its name translates into English). Without leaving the N-260, continue southward for 28 km - and through numerous tunnels - heading in the direction of La Pobla de Segur. This is a fast and winding road, but one that is easy and enjoyable to drive. There are many attractions to enjoy as you ride parallel to the River Noguera Pallaresa, and pass through an area simply brimming with natural charm, on your way towards the Sant Antoni Reservoir. Gerri de la Sal, which is located half-way between Sort and La Pobla de Segur, is well-worth a visit. 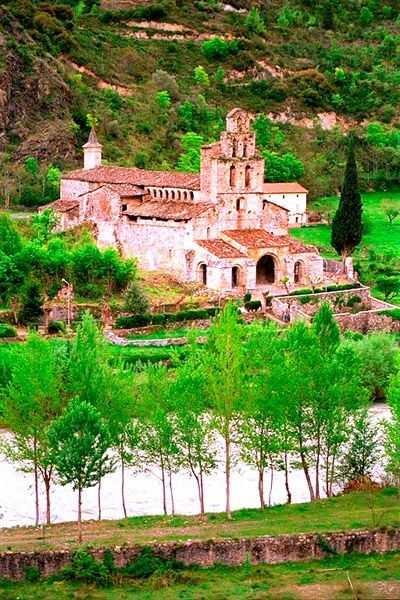 Here, you will find a walled settlement whose main attractions are: the (12th century) Romanesque monastery of Santa Maria; a three-storey bell tower; and the salt mines, which were first documented back in the 11th century. Before reaching La Pobla de Segur, you can also make a visit to the 5 km-long, Collegats Gorge, which has been carved out of the landscape by the River Noguera Pallaresa. One of the most characteristic elements of this gorge is L'Argenteria, which is said to have inspired the architect Antoni Gaudí when he designed the Art Nouveau style façade of La Pedrera, in Barcelona. 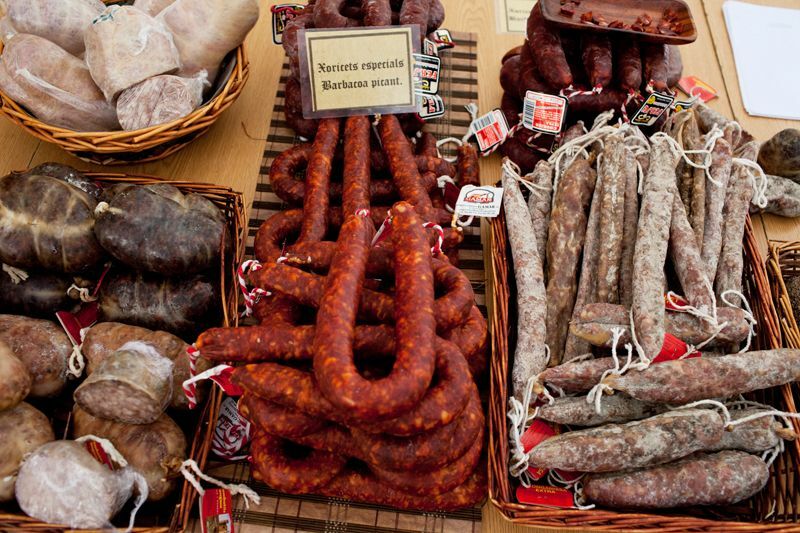 At La Pobla de Segur, which is a municipality in the comarca of El Pallars Jussà, you can stop to take on liquids and relax. Here, it is well-worth paying a visit to the Art Nouveau-style Casa Mauri and also to the River Rafters' Space, to discover who the rafters were, their history, and the difficulty of their work. You should then return to the N-260 and continue to cross the territory from north-east to north-west. When it gets to La Pobla de Segur, the road runs right through the centre of the village and – on reaching its southern end – then crosses the River Flamisell. 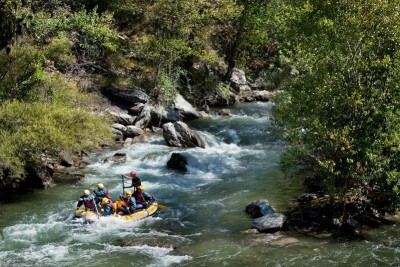 After that, it follows the right bank of the river upstream towards Senterada and El Pont de Suert. 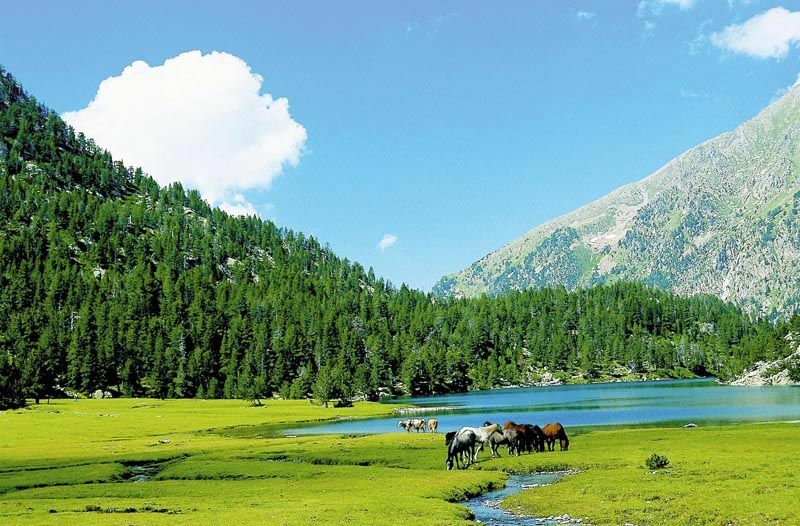 You are recommended to follow the route along the N-260, but there is also the option of taking the L-503 into the Vall Fosca (Dark Valley) in order to enjoy the natural scenery and lakes that can be found at the entrance to the Aigüestortes and Estany de Sant Maurici National Park. 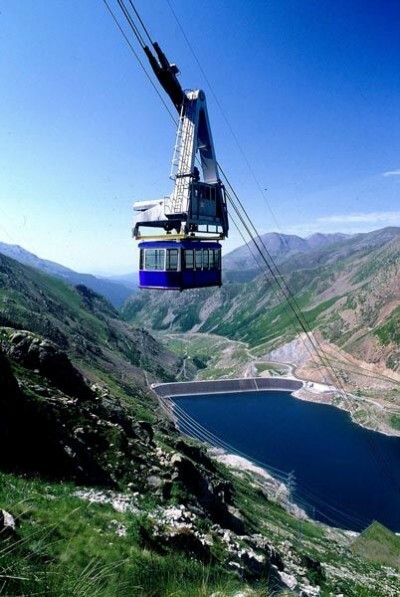 In summer, it is possible to enter this natural space via the Vall Fosca cable car, which will take you to the Sallente and Estany Gento pools in just over 10 minutes, bridging a 450-metre difference in altitude. However, as this road is a cul-de-sac, it is probably recommendable to continue along the N-260. This will offer you another stretch of road full of bends and with a good surface, as it heads through the Creu de Perves Pass (1,350 metres) on its way to El Pont de Suert, which is 35 km from La Pobla de Segur. El Pont de Suert, which has approximately 2,300 inhabitants, is the capital of L'Alta Ribagorça. 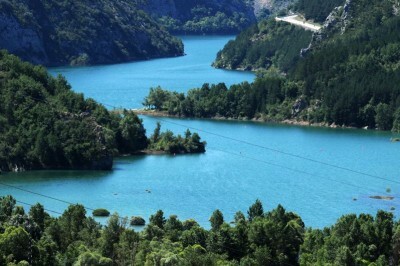 It stands near the Escales Reservoir, which is fed by the River Noguera Ribagorçana, and is the pride of the comarca. 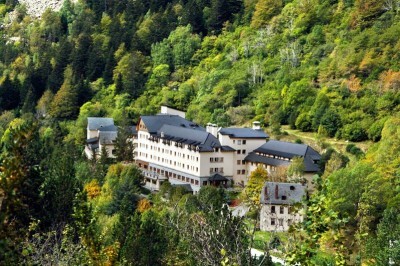 This small village is full of natural charm and has considerable tourist appeal. This is the last recommended stop before you leave the N-260, which continues across the Pyrenees, to explore one of the most beautiful and admired places in the Lleida and Catalan Pyrenees: the Vall de Boí. To get there, you must ride your motorcycle northwards from El Pont de Suert, travelling along the L-500 in the direction of Caldes de Boí. 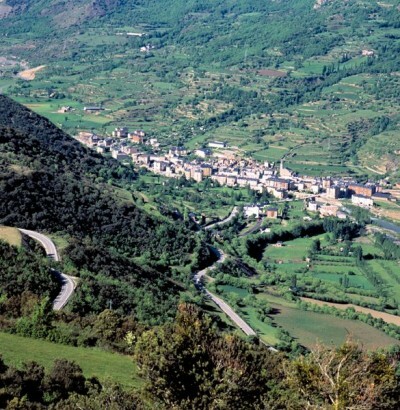 You will reach the Vall de Boí after about 30 km. 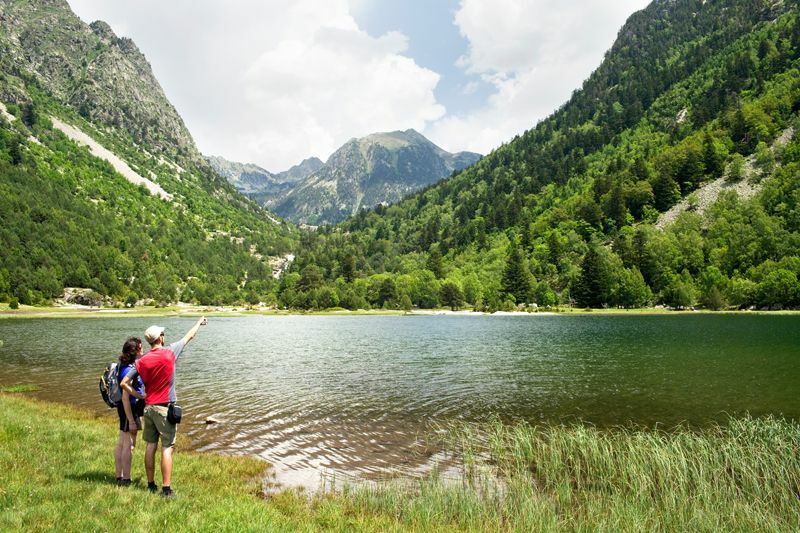 The Vall de Boí, nestled between valleys and mountains, offers the definitive example of Romanesque art and architecture and is also the gateway to the Aigüestortes and Estany de Sant Maurici National Park. Quite a flat and scenically interesting road will carry you across the valley before you take the L-501 to the Boí-Taüll Ski Resort, having perhaps first stopped off to enjoy one of the best examples of Romanesque architecture: Sant Climent and Santa Maria of Taüll, which form part of the eight Romanesque churches and one chapel that have received UNESCO World Heritage Site status. 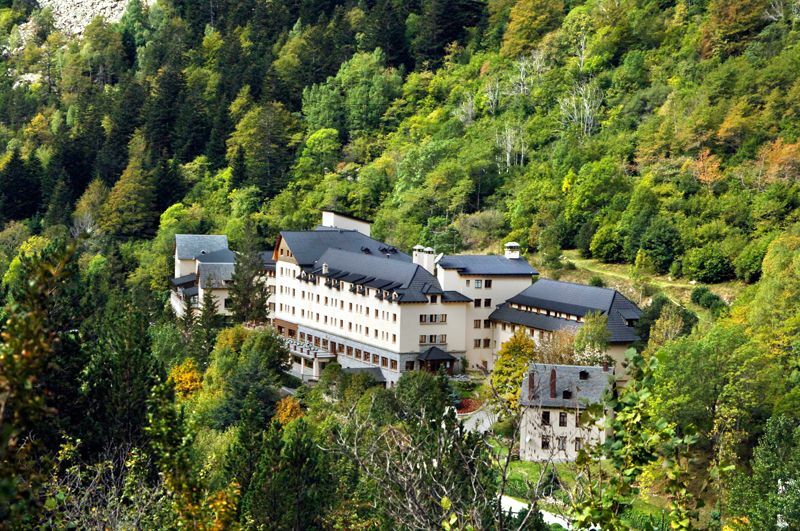 You may also find it interesting to visit the Caldes de Boí spa. You have now reached the end of the route and it will be time for a good rest in an exceptional natural setting that also offers good motorcycle tourism services.